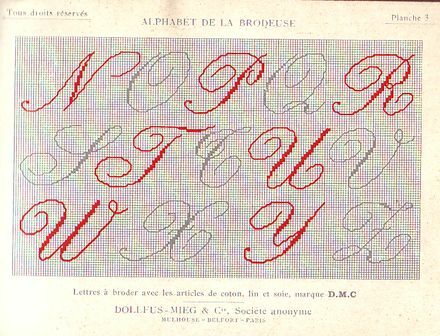 DMC is one of the oldest and one of the most famous textile company in the word. 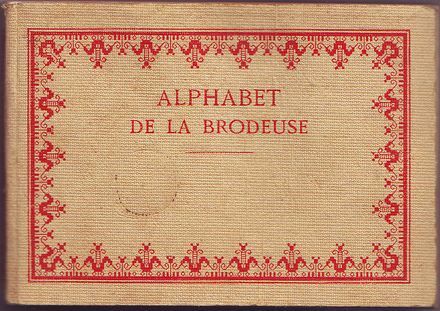 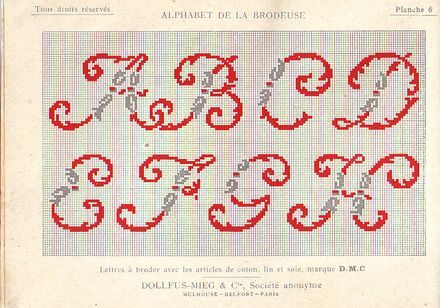 Founded in 1746 by a young artist, Jean- Henri Dolfus, and two entrepreneurs, Jean-Jacques Schmalzer and Samuel Koechlin , DMC started in the east of France, printing wonderful cotton fabric that you can still admire at " Musée de l'impression sur Etoffes " , Mulhouse, France. 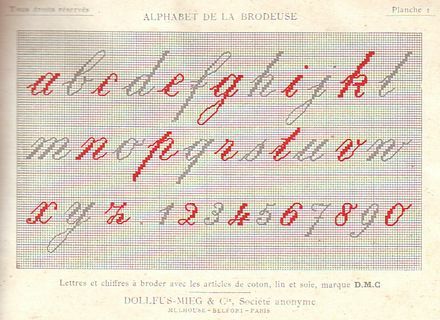 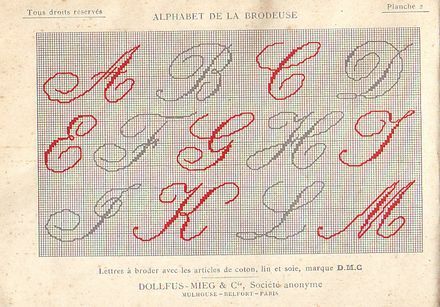 In the 19th century Therese de Dillmont, an Austrian aristocrat and a master embroiderer, open her own embroidery school with the help of Jean Dolfus-Mieg.